David and Louise Turpin of Perris, pictured in a Riverside court on Thursday, Jan. 18, 2018, have been accused of multiple counts of child torture, abuse and false imprisonment. PERRIS, Calif. -- The Perris parents accused of holding their 13 children captive were set to move "within days" of when one of their kids escaped, ABC News has learned. Multiple sources have confirmed that David Turpin, 57, was getting a job transfer from California to Oklahoma with defense contractor Northrop Grumann. As a result, the family was preparing to move "within days" of Jan. 14, when the couple's 17-year-old daughter climbed out of a window and used a deactivated cellphone to dial 911 for help, according to police. Authorities quickly came to the house, ultimately arresting the parents and taking all 13 siblings into state custody. Sources also told ABC News that there were boxes found in the Perris house - consistent with moving - concentrated in the hallways, entryway and bedrooms. It's not clear whether the move had any role in the timing of the 17-year-old daughter's escape. The family had moved multiple times in the past, having lived in Texas before moving to Southern California. 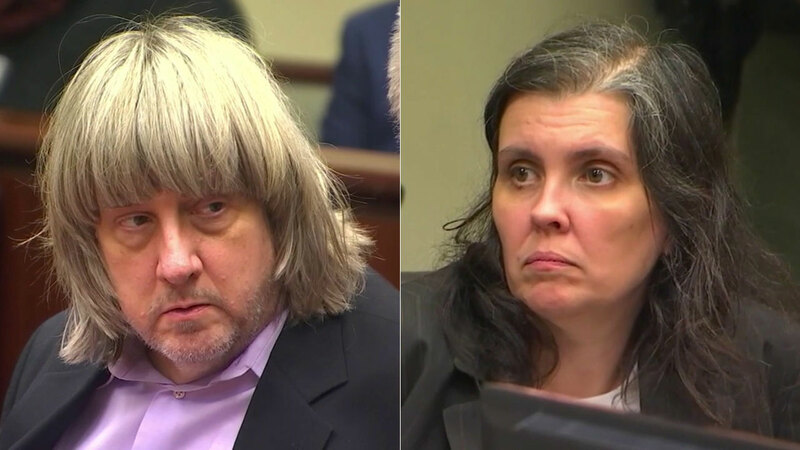 David and Louise Turpin, 49, are due back in court on Wednesday. According to Louise Turpin's attorney, prosecutors plan to file a restraining order against the Turpins -- to keep them from contacting others who might be involved in the case. Both have pleaded not guilty to multiple charges of torture, neglect and false imprisonment involving their 13 adult and juvenile children. David Turpin also pleaded not guilty to performing a lewd act on a child under age 14. They were jailed on $12 million bail each. If convicted on all charges, the Turpins could face up to 94 years to life in prison. The eldest son of David and Louise Turpin, the couple accused of shackling and torturing their 13 children in their Perris home, attended a local community college under the watchful eye of his mother, prosecutors say.